XNA is coming to Visual Basic! On March 27, 2011 Lisa Feigenbaum Community Program Manager for the Visual Studio Professional team, which includes the Visual Studio IDE and Managed Languages (Visual C#, Visual Basic, Visual F#) made a blog post stating XNA is coming to VB.NET. The official announcement was made by senior director Dave Mendlen at the 2011 DevConnections conference. Making vb.net available to XNA programmers comes as part of Microsoft's co-evolution strategy to provide equal access to Microsoft technologies for both C# and Visual Basic developers. vbGORE, Visual Basic Online RPG Engine, is a powerful 2d rpg game engine designed for those who really want to create a commercial game. It requires a bit of time to learn about all there is to it, it isn't as simple as some other engines due to what it has to offer, but is very fast and flexible. vbGORE offers a very powerful networking system that is sure to allow even the weak home connections to support plenty of users. There is also a fast and powerful graphics engine that allows multiple graphical layers, lighting, particle engine, weather, paperdolling, custom GUIs, and much more. Most of the features in vbGORE, too, are easy to ignore or remove or wont bog down the engine, making it so you don't have to spend days just removing code that you don't want to use. Finally, vbGORE uses MySQL on the server to store most all the data, allowing for very easy modification and the ability to access and display the information remotely. I've had a few emails the past month or so asking about the status of the DXGame Engine. Here's a quick update for those interested, DXG is very much alive! Along with the server attacks the past few months (and lately an incredible amount of email spam), there has been both highs and lows in my life lately. On the business end, there has been several negotiations with several publishers for up and coming projects, most have failed to deliver due to myself not wanting to give away the kitchen sink. ;) Plus the passing of me mum was a real shock as well. 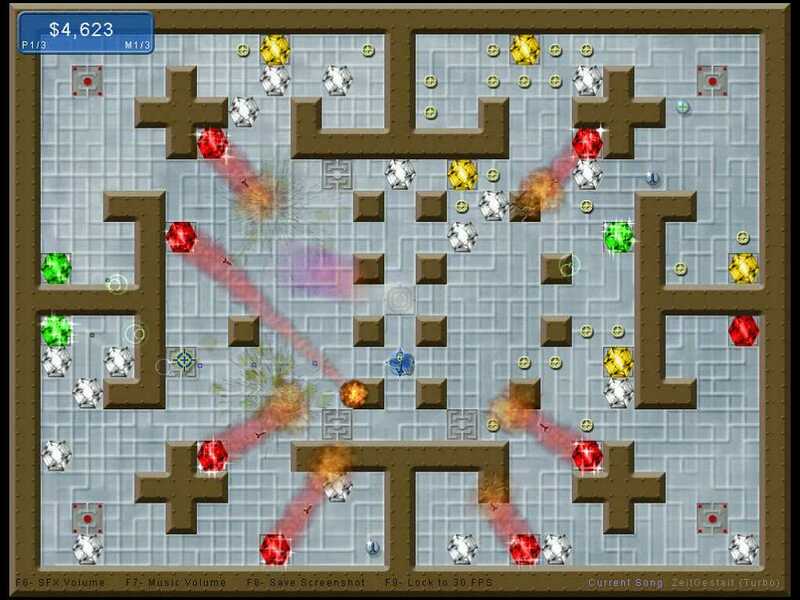 "Gem Raider" is an action/arcade game with a touch of a puzzle element. Turn on all 4 switches in a Sector without being destroyed by mutant gems. Destroy the mutant gems and protect the white diamonds to maximize your score. The game (the grown up version of "Gem Runner" from the DXGame Programming Contest earlier this year) was written using VB6 and the DXGame 2D engine. There is a free demo of the game available for download. Eternal Caves is an adventure game that involves looking for keys, doors, removing roadblocks, destroying enemies and finding the exit door. It's a nice maze-like game with lots of levels. The first and second edition are available for download. The DXGame Engine (2D Game Engine For VB6) continues to mature in both power and ease of use, thanks mainly to the forum users who provide feedback and excellent suggestions. 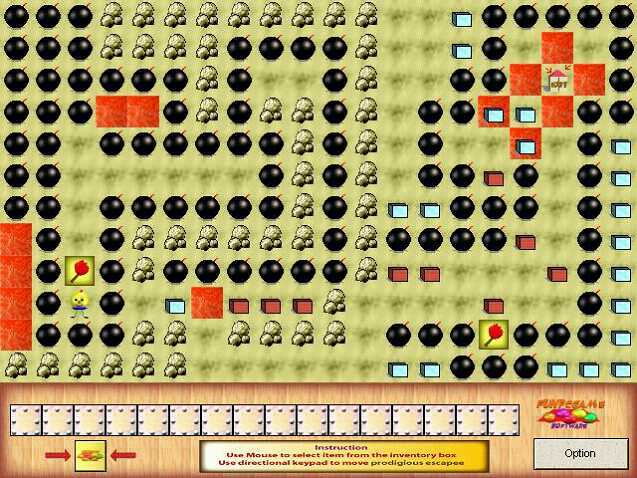 An action/arcade game with a puzzle element. 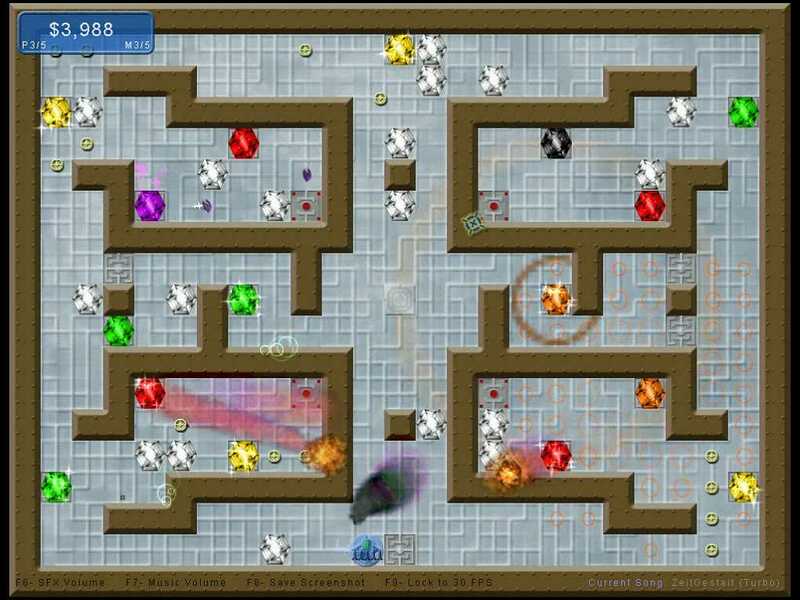 Turn on switches to stop mutant gems from taking over their high-tech vault. Freeware. This game won 1st place in a recent DXG coding contest. An exciting fast paced action/puzzle game, where the object is to match 3 or more orbs of the same color. Shareware. Retro shooting game, where Robotron meets Geometry Wars. Shareware. 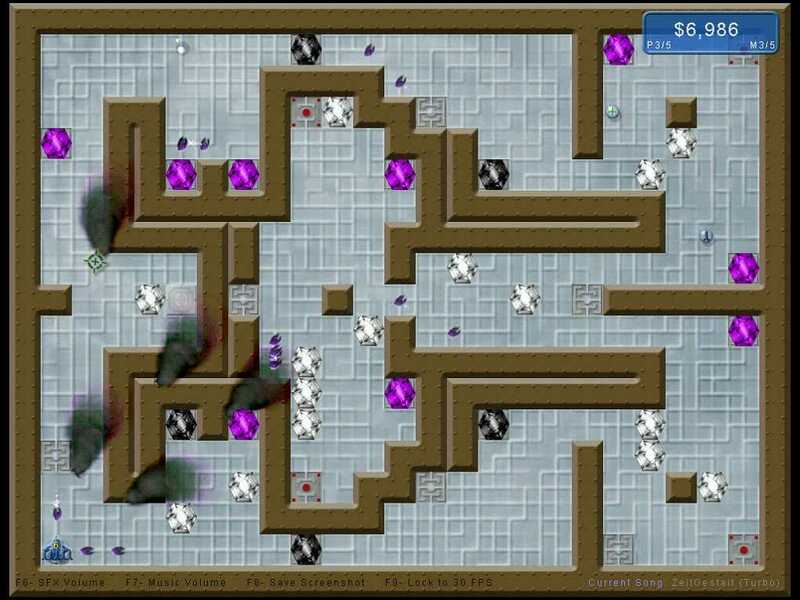 Top down action shooter. Tons of stuff to shoot at and blow up! This game won 2nd place in a recent DXG coding contest. Freeware. Shoot asteroids. Shoot ships. Repeat as needed. Shareware. A good example of scrolling maps and animated sprites. Freeware. All the sights and sounds of an outdoor Fireworks show! Freeware. The DXGame Engine is a 100% free to use 2D game engine toolkit for use with DirectX 8 and VB6. You can learn more about the DXGame Engine and it's features by visiting the website. There is an active forum available where hundreds of developers are experimenting with the DXGame Engine and it's features. Recently I was sorting out my harddrive and found my reasonably sized collection of old source code. I whipped up a simple page which allows you to download them. There's about 100 files, nearly all about game programming with Visual Basic. Some true classics out there like the first VB 'RTS' called "Jump Point Ion", and the old Truevision7 and 8 engine source! So, 20 years have past since most of us "met"
vbgamer is Really, Really Great. Original game music by Tanner Helland. You can download older versions of DirectX from this website. Has information and demos of using DirectX 8 for playing music and sounds for games suited for visually impaired or blind people. This website has games suited for people that are blind or visually impaired. Walks you through creating a number of flies that will fallow a scent trail, that you draw on the screen using the mouse. My concerns for game compatibility and the upcomming DirectX 10 in the MS Vista operating system.